List five internal and external commands used in DOS operating system. 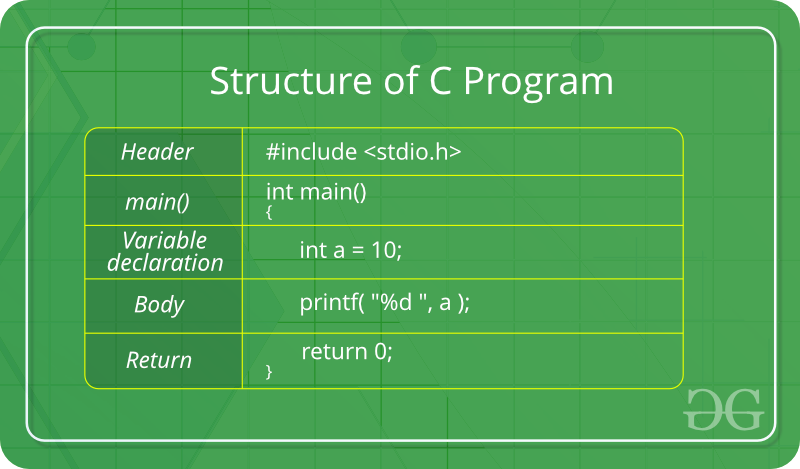 Explain the basic structure of C program. How is binary file differ from text file? The binary file stores the data in the form of bits, i.e. 0 and 1. Whereas the text file stores the data in the form of characters, in its original format. Give difference between android and window OS. Android OS is developed by Google and is used to run mobile components like smartphones and TVs. It is an open source OS. Whereas the Window OS was developed by Microsoft and is used by their Franchise products only. It is not an Open Source OS. Differenctiate between structure and union. What is void pointer? How is it different from other pointers? A void pointer is a pointer that has no associated data type with it. A void pointer can hold the address of any type and can be typecasted to any type. void pointers in C are used to implement generic functions, which can’t be implemented by other pointers. Justify that operating system is a resource manager. An Operating System performs all the basic tasks like managing file, process, and memory. Thus operating system acts as manager of all the resources, i.e. resource manager. Explain the dot (.) operator in C language with proper example. The dot (.) operator is used to access the child object. What do you mean by operator precedence? Operator precedence determines which operator is performed first in an expression with more than one operators with different precedence. For example 10 + 20 * 30 is calculated as 10 + (20 * 30) and not as (10 + 20) * 30. Associativity is used when two operators of same precedence appear in an expression. Associativity can be either Left to Right or Right to Left. For example ‘*’ and ‘/’ have same precedence and their associativity is Left to Right, so the expression “100 / 10 * 10” is treated as “(100 / 10) * 10”. Write difference between implicit and explicit type casting. Implicit Type Conversion Also known as ‘automatic type conversion’. Done by the compiler on its own, without any external trigger from the user. Generally takes place when in an expression more than one data type is present. In such condition type conversion (type promotion) takes place to avoid lose of data. Explicit Type Conversion This process is also called type casting and it is user defined. Here the user can type cast the result to make it of a particular data type. Type indicated the data type to which the final result is converted.